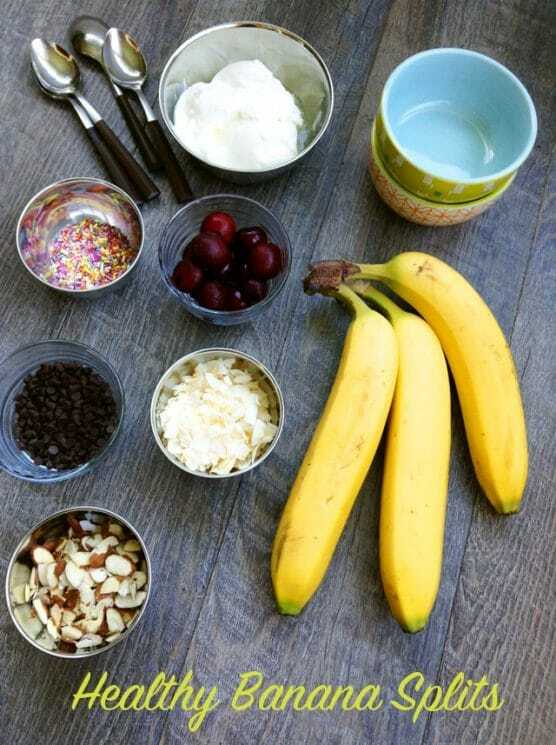 Set up a Healthy Banana Split “bar” and let your kids build their own nutritious treat! Isn’t it great when you and your kids can have the best of both worlds? 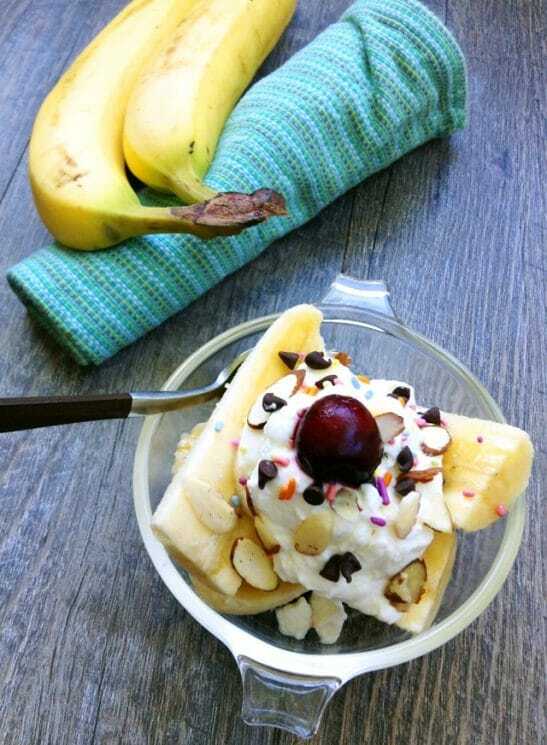 This Healthy Banana Split bar has to be one of the simplest, yummiest, most fun after-school or play-date snacks you can make! , and choosing good-for-you toppings like fruit, nuts, seeds and antioxidant-rich dark chocolate. The flavor is so creamy and sweet, your kids won’t even miss the ice cream. 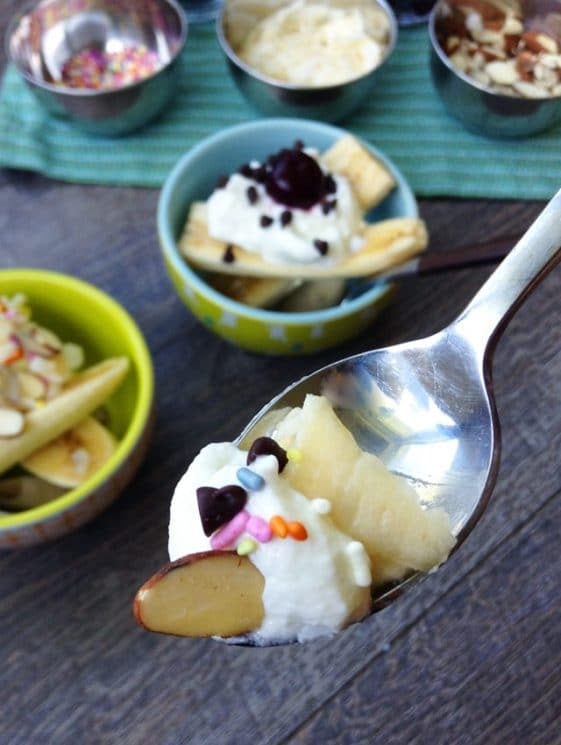 Set out a bowl of whole milk yogurt and several small dishes of toppings for your little ones to choose from. 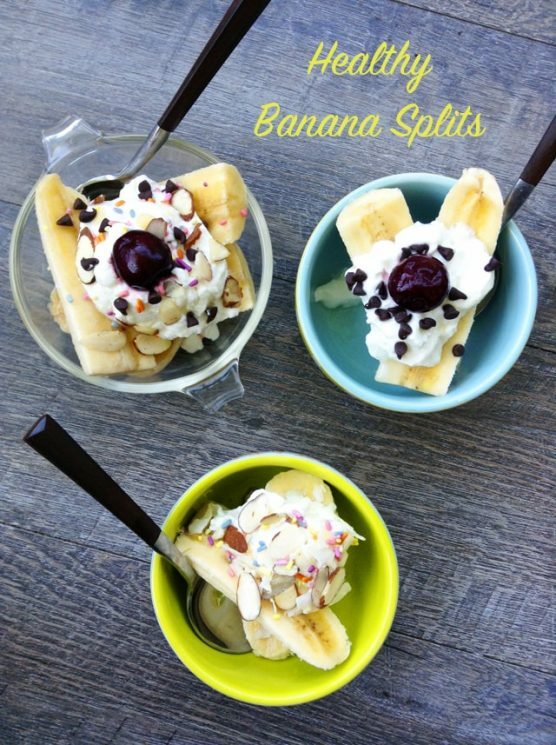 Then let your kids pile high their banana splits just the way they like! 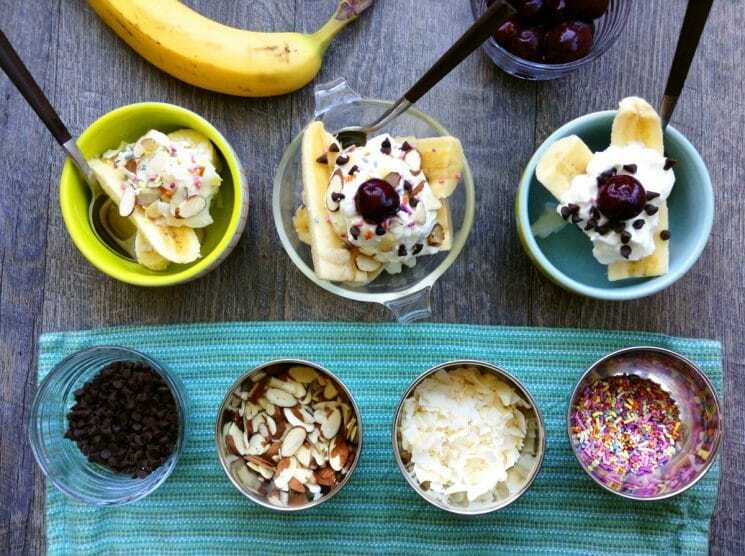 And feel free to get creative with your toppings–use whatever you have on hand that you think your kids might like. Then serve it as a snack, a dessert, or even breakfast. Enjoy! We make something similar, except we omit the peanut butter and add some strawberries and JUST a drizzle of hot fudge. It’s one of our favorite breakfasts! Or just strawberries and a banana and chocolate drizzle for a very tasty snack. oooo…frozen blueberries would be added on mine. KIDDING! Maybe a sprinkle of cinnamon or cocoa to be fancy. Raspberries or strawberries might be good. But yours looks delicious as is. Good one Venssa, Jamie, and Laura… Emily- You are bad influence 🙂 Still love you. Yum Alice! I would love dried cherries on it! Am looking forward to trying this recipe! Could you please share some healthy recipes that doesn’t involve fresh bananas or fresh apples? My son have fruit allergy (yes, I know that sounds weird) so now we can’t really even make any smoothies with bananas. He is also a super picky eater – no green at all! I would really appreciate it.